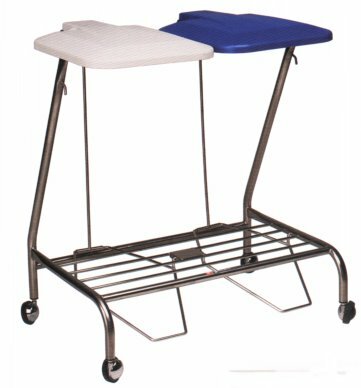 The GM medical linen trolley offers a number of design features. An elevated base and cantilever design, provides support for linen bags, not only enabling easy installation and removal, but prevents overfilling of bags. The rectangular slim line top offers space saving and storage efficiencies, while the four wheel base provides excellent stability and ease of movement. The trolley comes with a choice of with or without lids, foot or hand operated.